Since Polycythemia Vera is often not diagnosed until a heart attack or stroke occurs, there is a lot to learn in better diagnosing this disease. Earlier detection could lead to prevention. Polycythemia Vera clinical trials could also study alternative ways to treat the disease with medications before chemotherapy becomes necessary. If you have been diagnosed with this disease and are interested in participating in a Polycythemia Vera clinical trial, please review the list of current trials. Polycythemia Vera is a blood disorder that occurs when the blood begins producing too many red blood cells. It sometimes also happens when there is an overproduction of white blood cells. The main problem that stems from this is blood thickening that can lead to blood clots. 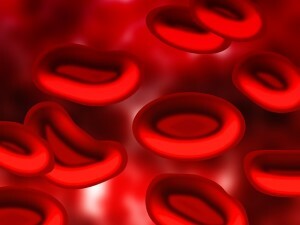 Polycythemia Vera can occur in people of all ages, but it is most common in the elderly. Symptoms can include becoming itchy, developing gouty arthritis and peptic ulcer disease. There may be a general feeling of fatigue with headaches and loss of concentration. Blood clotting can be serious and lead to heart attacks or strokes. Polycythemia Vera is diagnosed through physical exams and lab tests. There is no cure for Polycythemia Vera. Currently treating Polycythemia Vera involves managing the symptoms. Bloodletting is often used to reduce the volume of blood in the body and hopefully avoid clotting. A regimen of low-dose aspirin (75 – 81 mg/day) may also be prescribed.This thins the blood and will hopefully let it flow easier. In extreme cases where other treatments for Polycythemia Vera have proven unsuccessful, chemotherapy is sometimes used. Doctors try to avoid this if they can since the side effects can be worse than the Polycythemia Vera.